The goal of the thesis is to present a thorough review of currently available APIs for controlling haptic devices, focusing especially on open-source, cross-platform APIs. Comparison of features, paradigms, advatanges and drawbacks of reviewed APIs shall be presented in the thesis. A small application demonstrating basic use of each API should be created. The thesis and these small applications should together form a good reference for future projects regarding choosing a haptic API suitable for a given project's needs. 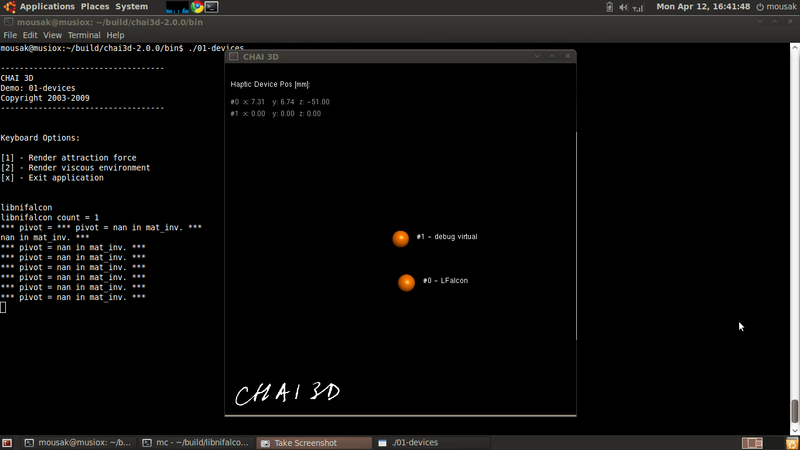 The student should then analyze the CHAI 3D haptic library in more detail. Its features and use shall be illustrated on a larger demonstration application. Possibilities of expanding CHAI 3D with support for libnifalcon, an open-source driver for the Novint Falcon device, should be discussed and optionally implemented. Thorough analysis of existing APIs (both open-source and proprietary) for programming applications utilizing haptic devices. Detailed evaluation and comparison of APIs in text. Implementation of a non-trivial test problem under several APIs, result comparison. 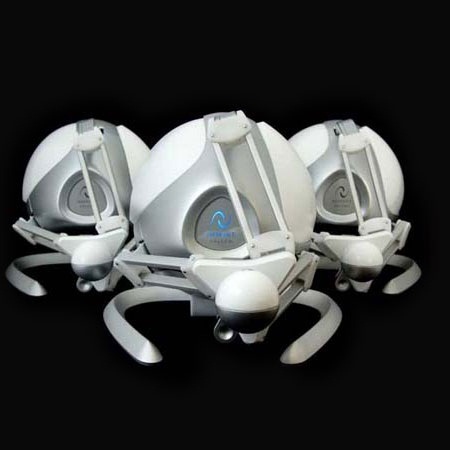 A Novint Falcon haptic device will be made available to applicant. 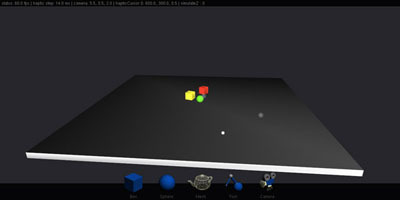 Haptic API Suite is a set of applications created during the survey. Visit the Haptic API Suite web page here. 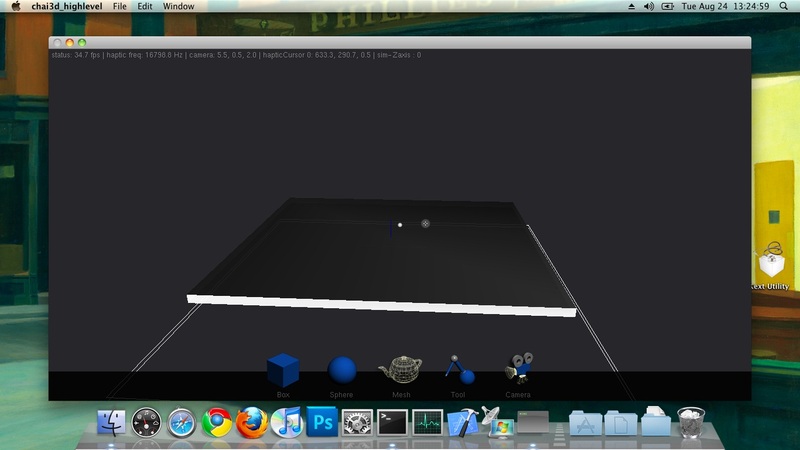 23.02.2010: Working hard to finish Chai 3D testapp! 15.01.2011: There are still some issues with initializing libnifalcon in CHAI3D (especially on Mac OSX) - working on that slowly. 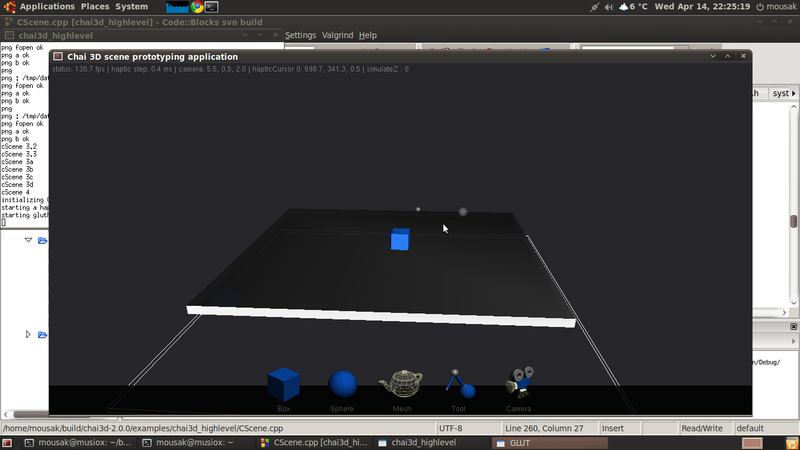 Latest experimental version of libnifalcon implementation in CHAI3D can still be downloaded from SVN repository - see Haptic API suite.